Nancy Pollock-Ellwand, an international multidisciplinary design expert, will serve as the next dean of the University of Arizona College of Architecture, Planning and Landscape Architecture. She was selected after a nine-month search and will join the UA on July 31. "Nancy brings a breadth of international expertise and insight to the UA, in her scholarly and professional work as well as in her extensive administrative experience at one of the top research universities in Canada," said Andrew Comrie, UA senior vice president for academic affairs and provost. "With a multidisciplinary approach to urban reform and heritage conservation, Nancy offers a collaborative perspective in the field of design, and she is known as a smart, thoughtful and engaging leader." 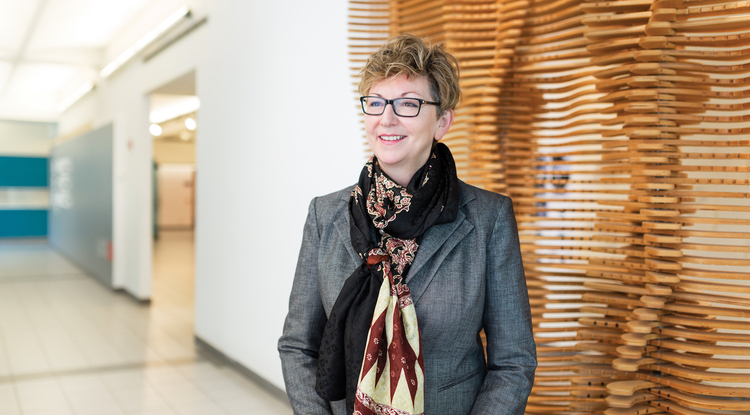 Pollock-Ellwand is a professor and dean of the Faculty of Environmental Design at the University of Calgary, a position she has held since 2010. Prior to that, she served as head and chair (dean) of the School of Architecture, Landscape Architecture and Urban Design at the University of Adelaide, and she rose up through the academic ranks of the School of Landscape Architecture at the University of Guelph. She earned a bachelor's degree in landscape architecture from the University of Guelph, a master's in architecture from the University of Manitoba and a Ph.D. in planning from the University of Waterloo. She has an extensive background in cultural landscapes and is renowned for her research centered on the history of landscapes and urban reform, and is writing a book on the famous Olmsted firm. Pollock-Ellwand serves as vice president/North America for UNESCO's International Council on Monuments and Sites-International Federation of Landscape Architects (ICOMOS-IFLA), Scientific Committee on Cultural Landscapes. She also serves on field missions and panels reviewing new World Heritage site nominations, located around the world in diverse places such as the mountains of Bhutan, the coastline of Japan and the historic mining region of the Czech Republic.